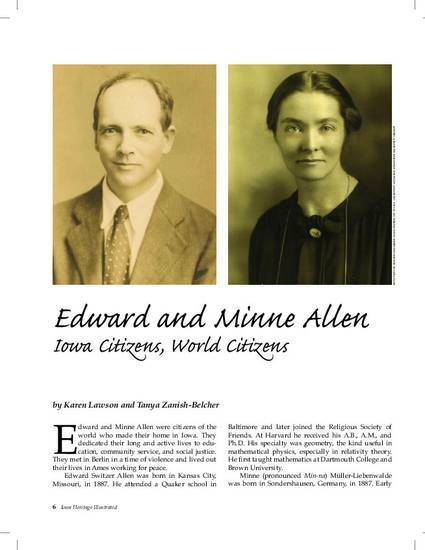 Edward and Minne Allen were citizens of the world who made their home in Iowa. They dedicated their long and active lives to education, community service, and social justice. They met in Berlin in a time of violence and lived out their lives in Ames working for peace. This article is posted with permission from Iowa Heritage Illustrated 91, no. 1 (Spring 2010): 6–9.